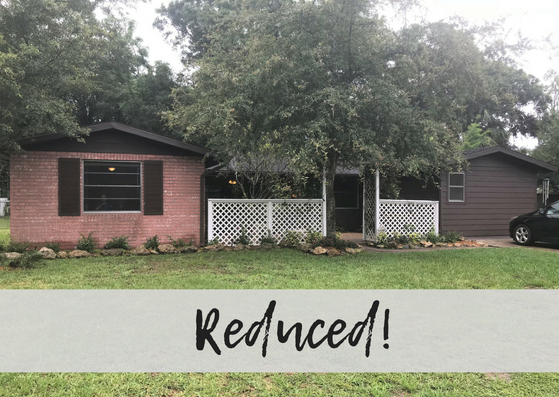 *PRICE REDUCTION* *SELLER IS WILLING TO PAY FOR HALF OF BUYER'S CLOSING COSTS WITH FULL PRICE OFFER* YOU DON'T SEE HOMES LIKE THIS ANYMORE!! AMAZING THREE BEDROOM, TWO BATHROOM BRICK HOME IN THE BEAUTIFUL CITY OF ARCADIA! You will love everything about this home starting with the lovely curb appeal, the front court yard vibe leading into the front door of the home. You will enter the open concept dining room with direct access to every space in the home. To the right is the lovely galley kitchen with an abundance of cabinet space leading to the functional utility room. The master bedroom is very spacious and the private en suite has a brand new luxurious tiled shower. The two guest bedrooms and large and the guest bathroom has a tub/shower combo and is pristine in condition. Gather family and friends around in the huge living room and work from home in a separate bonus room that could double as an office or a space to keep all of your storage. There is a rear porch perfect for cool Florida evenings. The back yard is fenced and there is a utility shed on the property. The location of this home is perfect as it is close to local schools, restaurants and the best antique district around. Priced to sell fast, you will want to schedule your showing very quickly!